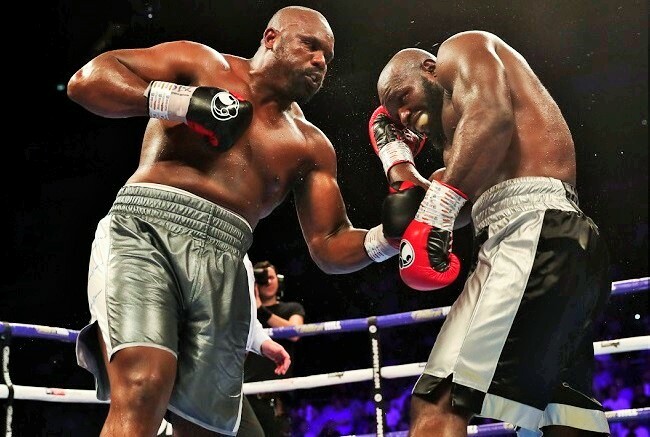 While no serious boxing fan is ready just yet to argue that we’re in a Golden Age for the heavyweight division, one thing is certain: of late, the big men are delivering when it comes to action and excitement. It doesn’t seem that long ago that one of life’s iron-clad certainties — along with death, taxes and Jim Lampley’s tears — was that when two titans who weighed north of say 230 pounds, flabby or otherwise, got into the ring, you could look forward to a lot of clinching and rutting instead of punching. 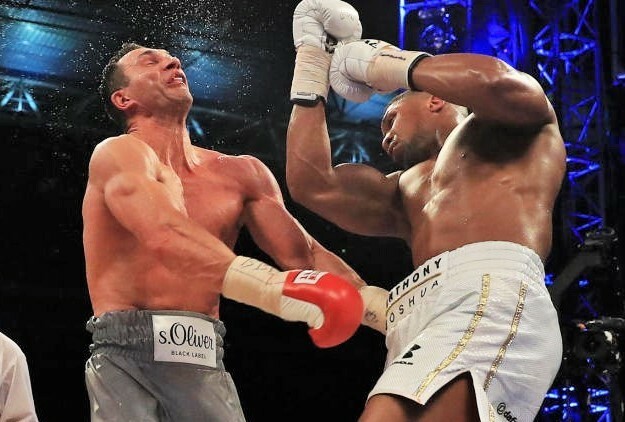 Well, of late, the big men appear to be doing their best to put the lie to this notion, starting last year with what was hailed by most as the best fight of 2017, that being the thrilling shootout between Anthony Joshua and Wladimir Klitschko, a battle that saw both men hit the canvas before Joshua finally triumphed in round 11. 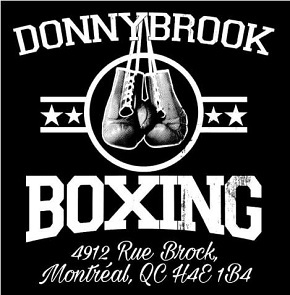 Still, many anticipated that Deontay Wilder vs Luis Ortiz this past March would be an awkward and tedious waltz, but they were dead wrong. Instead of a lot of clinching and stalling, fight fans got some great back-and-forth action and shifts in momentum before Wilder’s power gave us a dramatic finish. Klitschko vs Joshua was an amazing heavyweight war. 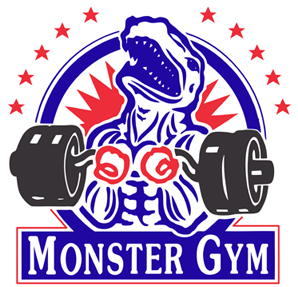 And now, as I write this, boxing fans with weak hearts are still eating their nitroglycerin pills and trying to calm down after yesterday witnessing not one, but two, heavyweight wars to remember. The battles went down in merry, old England, the birthplace of modern pugilism, and absolutely no one had a right to expect so much fistic fireworks from Dereck Chisora vs Carlos Takam and Dillian Whyte vs Joseph Parker. Had both matches turned out to be ho-hum affairs, no one would have been shocked. But starting with Chisora vs Takam, social media was lit up brighter than a Christmas tree in Rockefeller Plaza with exclamations like “What a fight!” and “Unbelievable!” and not long after #WhyteParker became a top hashtag as a match between what many regarded as two mediocre contenders turned into an epic, 12 round, back-and-forth war of attrition. Neither bout was pretty, or will ever be shown to a fledgling pugilist as an example of sterling technique, but both scraps gave us what we crave most from the fight game: intense competition, fast flowing action, and excitement. Chisora (left) scored one of the biggest wins of his career yesterday. I, for one, was shocked by Dereck Chisora’s performance against the seemingly fresher Takam. After all, Takam was surprisingly competitive against Joshua last fall, while it seems like years since Chisora looked anything close to elite-level with three losses in his last six fights; you had to go back to 2014 to point to the last truly meaningful win for the fighter they call “Del Boy.” For seven rounds it was a spirited slugfest, one no one had a right to expect, with Takam getting the better of it. 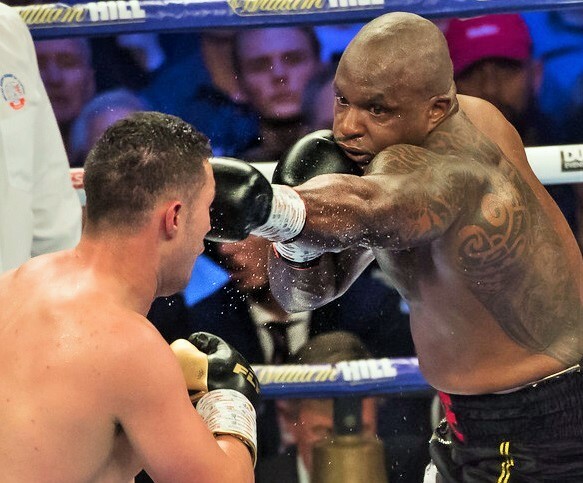 But if the Cameroon native had succeeded in hurting Chisora more than once and was clearly ahead on points, the hometown fighter had shown tremendous grit, withstanding flush power shots while digging heavy blows of his own to Takam’s body. Whyte and Parker go to war. 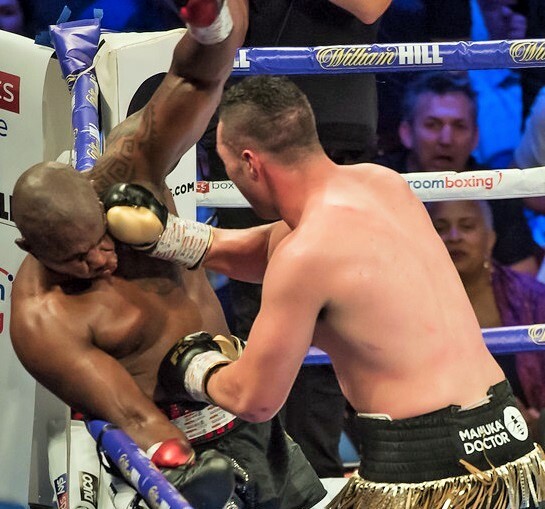 It was terrific back-and-forth action though it appeared Takam was heading to a points win, when, from nowhere, Chisora wiped out the scoring deficit with a heavy left jab followed by a looping right hand to the temple. 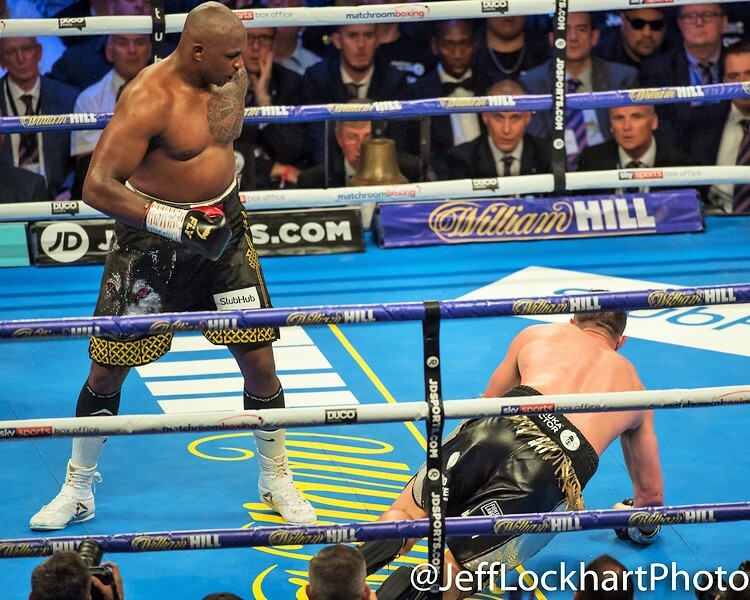 Takam went down hard and while he beat the count it was clear to all he was finished when he walked into a second Chisora right hand and collapsed again. The fight was immediately waved off as everyone in the O2 Arena agreed that Whyte vs Parker had one hell of a tough act to follow. But if both Whyte and Parker were best known for being notches on Anthony Joshua’s belt, they changed all that with an astonishing 12 round war, the kind that heavyweights — and in this case, men who both weighed over 240 pounds — just don’t offer much anymore. 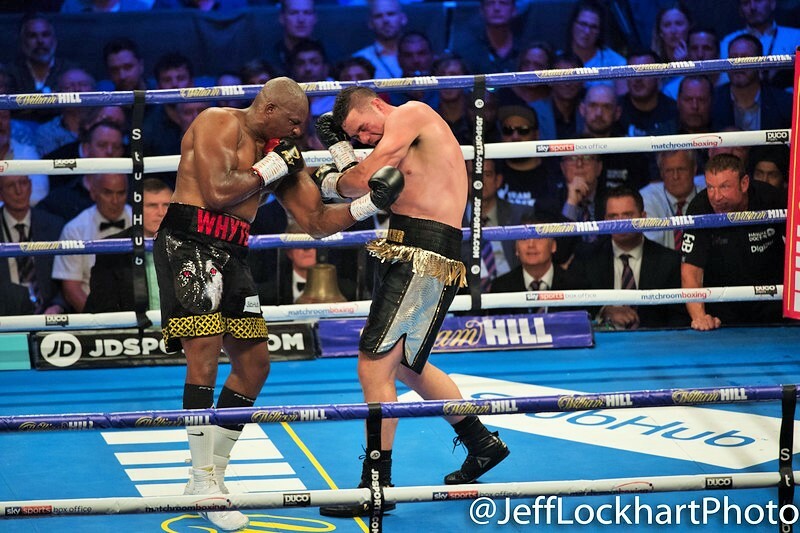 It was high drama all the way, with the bigger Whyte taking control in the early going and scoring a somewhat questionable knockdown in the second round. The UK heavyweight just kept grinding, getting all of his 259 pounds behind some of his shots and also taking liberties with a healthy amount of roughhouse tactics. 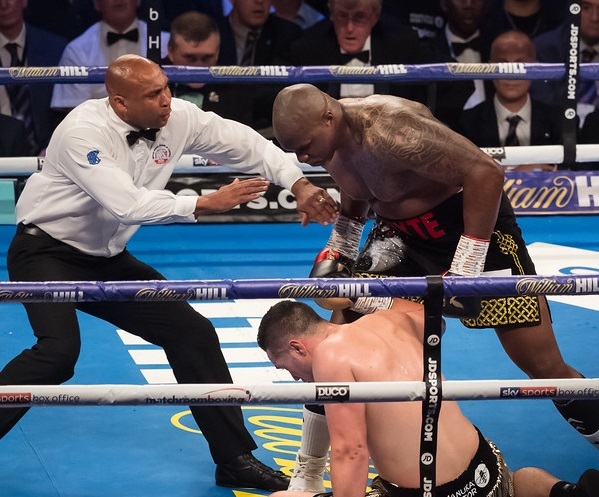 While Parker was more than holding his own, a second knockdown in round nine appeared to secure the win for Whyte. 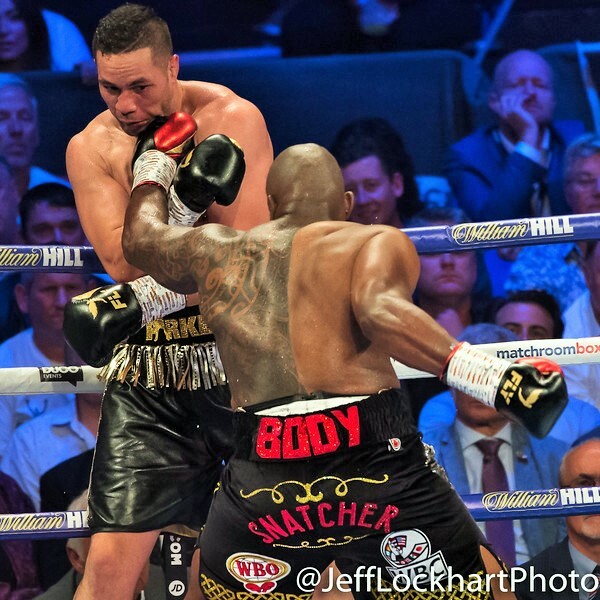 But the battle was far from over, as Parker came roaring back in rounds ten and eleven and in the final stanza he took over completely battering an exhausted Whyte all over the ring and scoring a knockdown of his own. To his credit, “The Body Snatcher” hung on and survived, but it was clear that Parker unexpectedly had the upper hand at fight’s end. 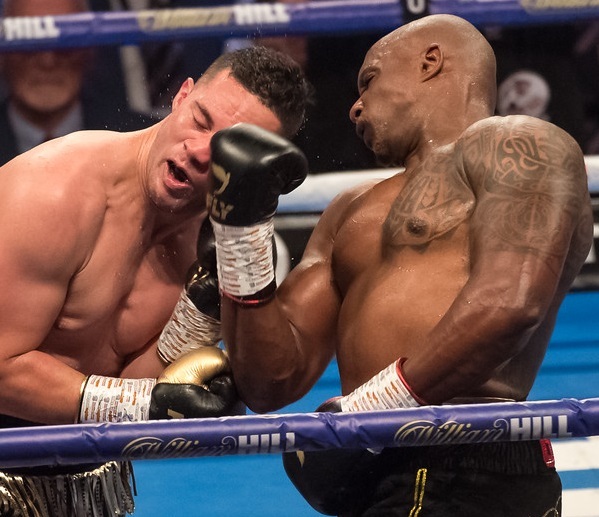 Alas, it was too little, too late, for the New Zealander as all three judges saw Whyte the victor. “I want to fight Joshua in a rematch,” cried Whyte. “I gave it my best, [but] the better man won,” declared Parker. But in truth, it was the kind of thrilling, uplifting war that has no losers. The standing of both men was only enhanced by their performances and while Whyte is naturally looking towards a shot at Deontay Wilder or a rematch with Joshua, no doubt fight fans would be just as happy to see contracts drawn up for Whyte vs Parker II. Our own Jeff Lockhart was ringside for all the action, so we proudly present a photo gallery of a heavyweight war which people will be talking about for a long time to come and will be part of the debate when discussion turns to 2018’s Fight Of The Year. 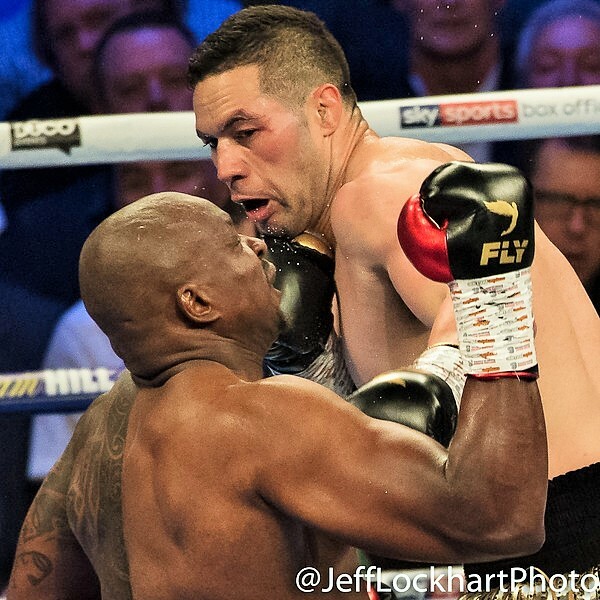 Parker battered Whyte in the final round, but it was too little, too late. 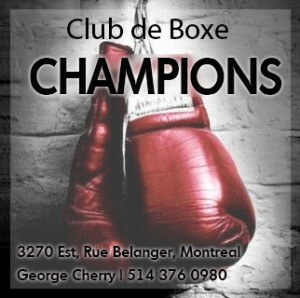 Great weekend of heavyweight boxing. And with Tyson Fury inching his way back in to the mix we should still yet have some intriguing battles ahead of us. Not sure what’s wrong with Parker, he clearly has the ability to be much better than his last 2 fights showed but he appears to be a little gun shy and cautious which was his downfall in the Whyte match. Whyte may be the better fighter but Parker was the better boxer.